Blondes (apparently) have more fun. But this assumption doesn’t take into account the plight of our barnets: split ends, colour damage, root regrowth, brassiness, and dulling shades. Even for the all-natural Swedish-mega-babe blondes amongst us, it always seems tough to match that rare, brilliant shine achieved by beautifully conditioned brunette lengths. 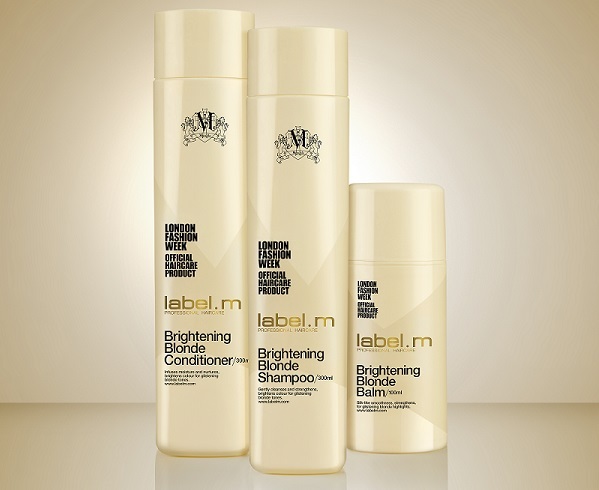 Fear not, as label.m has come up trumps with its first ever blonde hair care system, crafted entirely from a rich collection of botanical ingredients which promise to tone, nourish and protect all manner of blonde tresses. The delicately scented Brightening Blonde trio comprises a shampoo, conditioner and brightening blonde balm, infused with Mamaki Tea (a natural colour guardian), Hops (shine booster), White Pineapple (gently hydrates and conditions), Star Fruit (rich in vitamin B and C) and Custard Apple (counteracts depigmentation). Combined, these core ingredients help to lessen the oxidation process which results in those pesky yellowing tones, simultaneously preventing dryness and protecting from heat damage. I’m treated to a complete showcase of the range with a Brightening Blonde Blow Out experience at TONI & GUY’s slick new salon on North Audley Street, handily located just behind Selfridges. International Art Director Maria Galati preps my hair by washing it with the gentle daily care shampoo before slathering it with a generous coat of conditioner for high level moisture. After towel drying, she applies a pea-sized amount of the Brightening Blonde Balm. This is the hero product, promoting smoothness and protecting against styling damage and frizz thanks to its restorative Aloe Leaf Juice, Hydrolysed Wheat Protein and Tamanu Seed Oil. Once expertly blow-dried and styled into big, loose waves, I’m impressed by the silky sheen of my highlighted hair – something I’m never able to achieve at home. These all-natural products aren’t going to lighten your colour, but that’s not their intention. 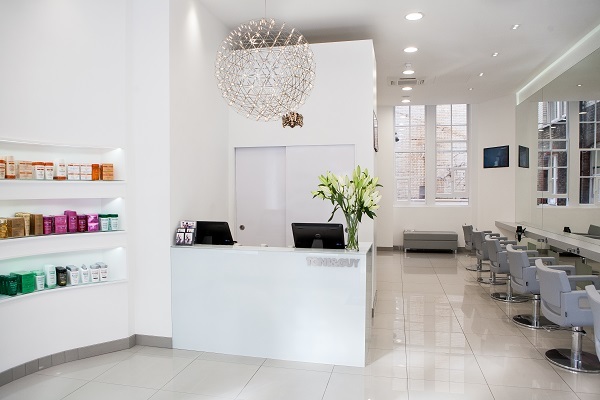 They’re an innovative all-round care system – one that brings out the best of your blonde.